Properties in Whistler average 4.5 out of 5 stars. Property 11: Valhalla #5 - VILLAGE location, walk to everything! - Hot Tub, Free Shuttle, Parking & WIFI! 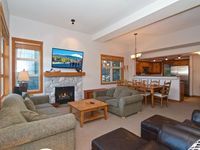 Property 20: Whistler Village North, 1 Bedroom Townhouse, Great Location!! Property 25: Whistler two bed Townhome steps to lifts shuttle on 1st fairway of best golf! Property 37: Newly Renovated 2 bed, ski in/out, perfect location for summer & winter! 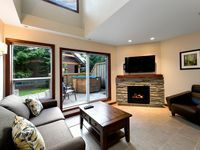 Property 48: Relax in style, steps from Whistler village with outdoor pool & private hot tub!